Have you prepared a statement? 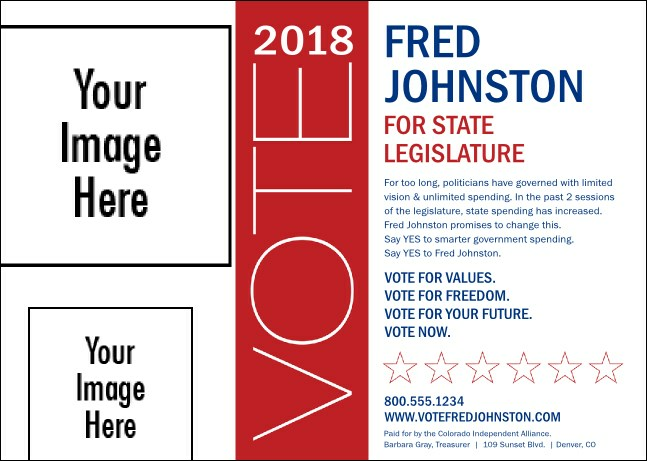 Stop debating the merits of different print products and make a choice to spread your message throughout the district with the clean and simple lines of the Modern Vote Postcard. Uncluttered design allows you to share words and images so your values are communicated clearly. TicketPrinting.com offers maximum impact for minimal investment.